inCreWave is an iOS developer for iPad, iPhone and iPod. All below apps are now available on the Apple AppStore. 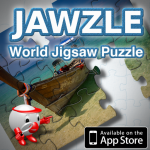 Jawzle is a World Jigsaw Puzzle for iPad featuring 15 countries of total 120 150 beautiful puzzles. And with photo puzzle mode, you can play unlimited number of puzzle from your iPad’s photo albums. 3 difficulty mode : 20 pieces, 48 pieces & 108 pieces suit for kids to adults. 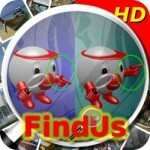 FindUs is a find the differences between 2 pictures from various photos round the world app. Featuring 15 countries with total 150 levels in paid version, while you can enjoy 75 with ads support on the free edition. Different random differences each time you play. Have 3 difficulties level : easy (find 3 out of 5), normal (3 out 3) or hard (5 out of 5). The game support 2 game mode : Classic (play sequentially) and the Challenge (5 Random Levels) which you may like after mastering it. You may it play it alone or battle with friends in 1 iPad. The battle / versus mode may base on score or most objects found. FindUs HD free edition also available.